Francesco Grassini is born in Siena where he also started his musical education at the municipal school of music. After finishing trombone studies at the Siena conservatory, he left for Geneva for a continuous education at the haute école de Musique. He received his virtuosity, a master degree in pedagogics and a diploma as orchestral musician. As trombonist he could, among others, collaborate with the orchestre de la Suisse Romande, the Sinfonietta de Lausanne and the ensemble Contrechamps de Genève. 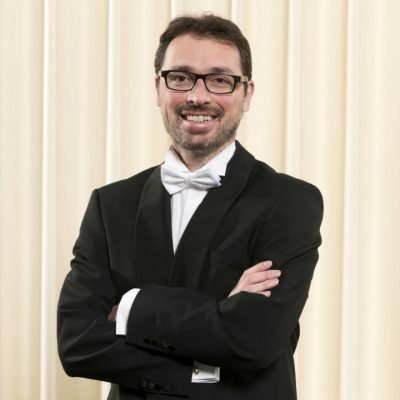 After being a trombone teacher in the region of Geneva for several years, he was named as director of the école L’Ondine genevoise in September 2015. Francesco participated at various trombone master classes; particularly he worked with Philippe Bach, Pascual Vilaplana and Rafa Agullo.